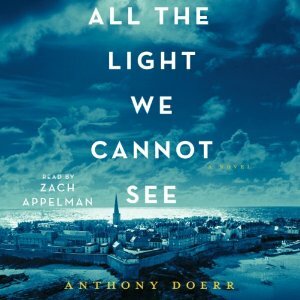 Opening Doerr’s second novel which one of my reading groups (BookiesToo) chose for our December 15th selection (I wasn’t thrilled to find another war book) – American bombers are dropping their load on the small city of Saint Malo in northern France. Fortunately, the front lines and bombing raids are not the focus. Instead, two children growing up under very different circumstances during the war years are the focus of this mesmerizing work of historical fiction – emphasis on the fiction, I’d say. Mesmerizing? Yup – and charming and fast-paced and long and cozy in its own way. The structure is your basic “here’s now” alternating with “how did we get here” (backstory) and goes on into “the rest of the story.” That’s okay – it’s a good structure if the story will hold up – this one does. In fact, Doerr uses it to extremely good effect with the story in the frame time (August, 1944) going fairly slowly and with quite a bit of suspense and the backstory giving the reader all the background insight into what’s transpiring. The “frame” story, as I suppose it is, opens in 1944 as Saint Malo, Brittany, on the coast of northern France which is being bombed by Americans finishing the fight with the Germans for control of that city. This is two months after D-Day. They have dropped fliers to the occupants of the city warning them to leave. And through all this the themes of love and yearning are woven. The changes the long war has brought have the characters desiring simple food and safety number one, but they are also remembering the past and looking to the future – a desire for communication with far away loved ones is big. And in any story about the Nazis, the theme of good vs evil can not be far removed. In August of 1944 Marie Laure LeBlanc is a 16-year old motherless blind girl who lives in the city with her great-uncle Etienné and great-aunt Madame Manec, the housekeeper. Marie’s father has made her a scale model of the city to locate herself. Also, she can hear the bombers coming. She finds a paper on a shelf – then an egg-sized stone. A few blocks away, the 18-year old Werner Pfennig wakes up in the Hotel of Bees. He is a part of the German occupation trying to hold on to their last bits. They have a very large gun with which to fight off the air raid. He hides in the cellar as directed and readies himself at the radio. And then the story goes back to 1934 when 6 year-old Marie Laure lived in Paris with her widowed father who worked at the Museum of Natural History. She listens to a story told at the museum about a priceless stone called the “Sea of Flames” which also carries an incredible load of bad luck. A month later Marie Laure is struck blind. So now dad tutors Marie in all manner of things, and built her the model neighborhood to practice finding her way in. After some reluctance she excels. Meanwhile in Germany at the time an intellectually gifted orphan, Werner Pfennig, is found and trained in radio engineering and mathematics for the Nazi efforts. He excels. 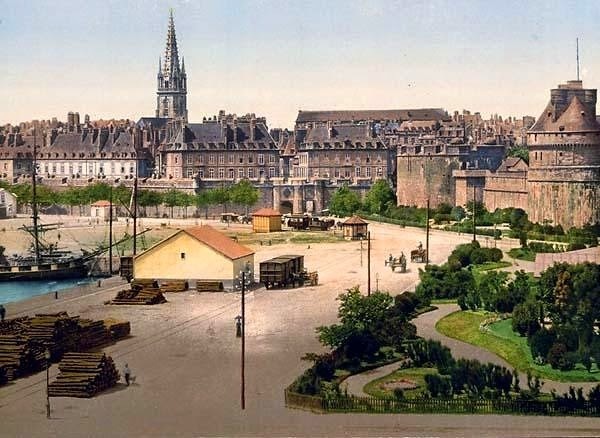 Another story threading through the tale of the two children is that of the women in Saint Malo who form a kind of Resistance to the Germans occupying their city. And the course of the war can be told as Werner goes from having the very best at his disposal to having less and giving up more for the führer. And his friend Frederick has some problems, big ones. I hate to say it this way, but All the Light We Cannot See is “lyrically” written. There’s a nice rhythm and an intelligent vocabulary at work here. It scans easily and the audio narrator, Zac Appelman, does an admirable job. I loved this book. A story about the Nazi occupation that was not unbearably grim. I loved how the scale model helps her learn to navigate the city and I was also pleased with the way the author alternated viewpoints. A totally excellent book that I would heartily recommend.